Looking For A Plumber In Glenfield? When you need a reliable and trusted plumber in Glenfield, contact Taylor Pickering on 0116 287 76 73 as our rapid Glenfield plumbing response team is only 7 minutes away from the LE3 area. It might be that you’ve lost access to your heating or hot water – the last thing you need at this colder time of year – or perhaps you’ve got frozen pipes or a broken toilet. Whether it’s a plumbing and heating emergency or not, you need Taylor Pickering’s highly recommended Glenfield plumbing service, for your home or business. 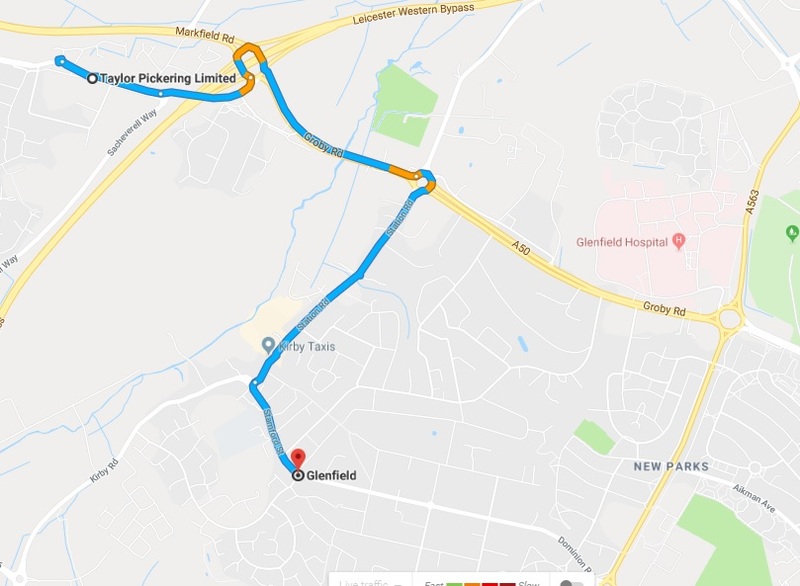 Our headquarters are literally 7 minutes away from your Glenfield property and our heating engineers can be with you quickly. When heating or plumbing is a problem, don’t leave it to the last minute to get it repaired, as this can mean more costly issues further down the line. Being close to town, we can offer a rapid response for anyone looking for a local plumber in Glenfield and one of our engineers is normally in the area most of the time. In addition, there are certain plumbing and heating problems which should always be handled by the professionals, such as frozen pipes, low water pressure, broken central heating and boiler problems. Our highly qualified and experienced CHAS Health and Safety accredited plumbers can carry out all kind of plumbing jobs big or small. And on top of fixing heating and plumbing issues, replacement and installation, they are also fully able to to handle the planning and design of your heating or plumbing system. So, whether you need emergency plumbing repairs in Glenfield, a complete new central heating system, newly fitted luxury bathroom or an upgrade to your boiler, we can help. Our award-winning, highly qualified Gas Safe registered plumbers can offer you peace of mind that there shouldn’t be any headaches with the plumbing further down the line and all work carries a 12-month workmanship guarantee. We also make sure we only use products from all the leading manufacturers to ensure that our equipment matches our ability. Taylor Pickering is a family owned company whose plumbers are highly qualified, professional, friendly and come highly recommended by all our customers. When we carry out plumbing repairs or installation, we will always discuss the details and cost of the work at the beginning, making customers completely aware of what will be done and exactly how much they can expect to pay. The team has a passion for what they do and an exceptional reputation for care, consideration and quality of workmanship, as such, we strive to ensure that these high standards are met on every job we complete. In addition, our continual investment in staff training ensures our plumbers are also aware of the latest standards in both plumbing and health and safety. In addition, once the job is finished, you can be sure we’ll leave your Glenfield home as if we were never there – but with plumbing that works really well! This entry was posted in Area on 28th November 2018 by Taylor Pickering.